Every dollar counts. 100% of all funds go directly to supporting our goal of eliminating poverty in Downtown Cincinnati. Our services rely entirely on donations from individuals like you. It costs approximately seventy cents to provide a lunch, two dollars to distribute a hygiene kit, and six dollars to provide a warm blanket to a Cincinnati resident in need. Please consider making a donation to help our Cincinnati neighbors. Looking for another great way to support PD? Buy a tee! Our shirts are hand-screened in the USA and are made with Irish Green 5.6 oz Gildan Dry-blend cotton. 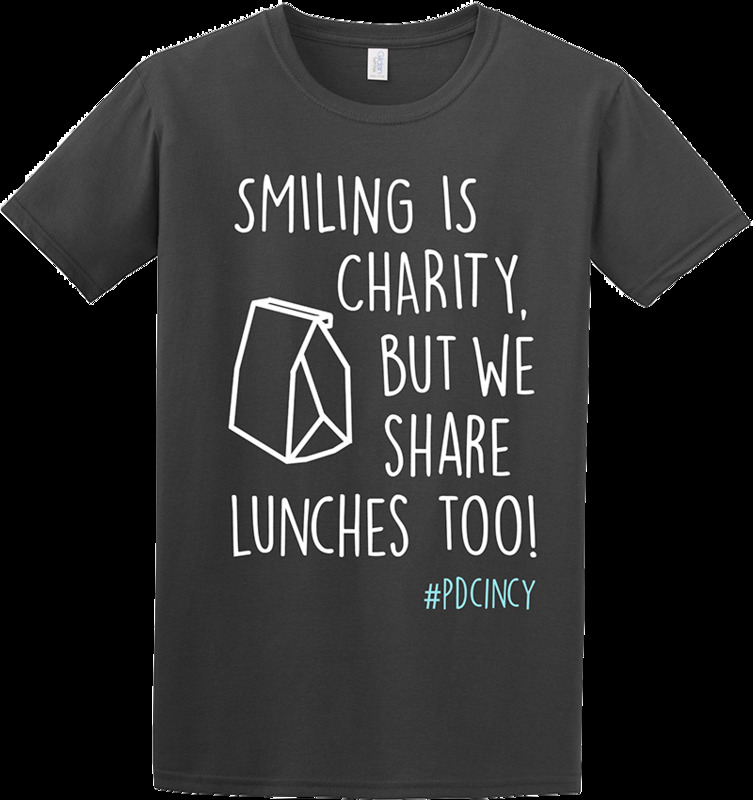 Each tee purchase feeds lunch to nearly 20 Cincinnati residents.